Rosh Chodesh Adar 1 Basketball Game Results in Sweet Victory! 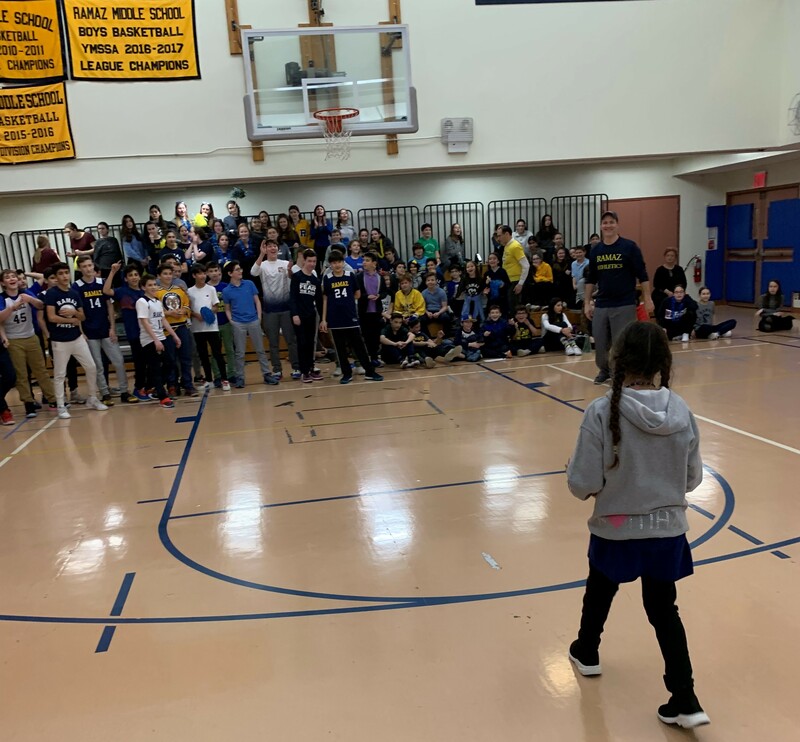 Our 4th Grade Degania students tasted sweet victory as they savored every bite of their special snack treats earned from our Rosh Chodesh Adar 1 MS Basketball game. Leon K., on his first attempt, hit his half-court shot with no fanfare of any kind. He walked off the court with his head held up high, knowing he just earned his class a special snack and he was about to cash it in. Degania enjoyed their special snack from Butterflake bakery in Teaneck, NJ. The classroom was filled with chocolate, frosting, sprinkles, and pure bliss. We congratulate Degania and Leon's amazing moment. It was truly a joyous moment to mark the beginning of the month of Adar.